#1- Oh my gosh someone thinks I can teach them something!! #2- Oh my gosh I would love nothing more than to help people save money! #3-Oh my gosh I have two small babies and a husband who travels all the time… how am I going to find the time to teach people?! To me, saving money isn’t just about couponing, it’s a total overhaul of the way we live. I know that can sound cheesy, but I’ve found it to be so true. I’ve really come to discern between our wants and our needs. Also, after I learned to coupon, I really saw where our money was going. In this post here and this post here I tell about two areas where we were spending a lot of money each month. It became so frustrating to me and instead of just giving in, I learned how to make these items from scratch (gasp). It is so gratifying to be able to serve my family in that way. I’ve become a better cook this year than I have ever been. About a year ago I stumbled back into couponing (after a bad experience trying out The Grocery Game) and this time I decided to take it into my own hands. I had taught Sunday School with a woman from church named Kelly Hancock. She owns a super successful blog called Faithful Provisions, and at the time was coming out with her book. After browsing her website, I started to notice at the bottom of her posts she would sometimes thank other savings blogs for their contribution to her posts. It was like a lightbulb went off… It was at that moment I realized there is so much free information available and I was just letting it pass me by. I know myself well enough to know that I had to ease into it. If I tried too much too fast I would eventually give up. When people ask me to teach them how to start, I always tell them that it takes A LOT of effort in the beginning, but over time it becomes a routine, a lifestyle, and a source of wealth. Since I’m a stay at home mom I view this as a contribution to my family. After going to a store I like to look at how much I saved vs. the time I put into it. If I spent 2 hours working on it that week but I saved $100, I look at it as making $50 an hour for the time I put into it. Not too shabby. 3) Matchups and Deals– How to know where to find the deals. 5) BLOGS & Facebook- Who to follow and why. 6) Tips and anything else I left out! SO here it is… everything I know…about savings. First, you must have a system. There’s nothing more frustrating that having 10,000 coupons shoved in an envelope and wasting 10 minutes in the aisle at the store looking to see if you have a coupon. BE ORGANIZED. The large binder above is with me everywhere I go. Literally. I even take it on beach trips so I can save at the Destin Publix. You may call me crazy, but I think it’s crazy that people spend more money than me on the exact same items. 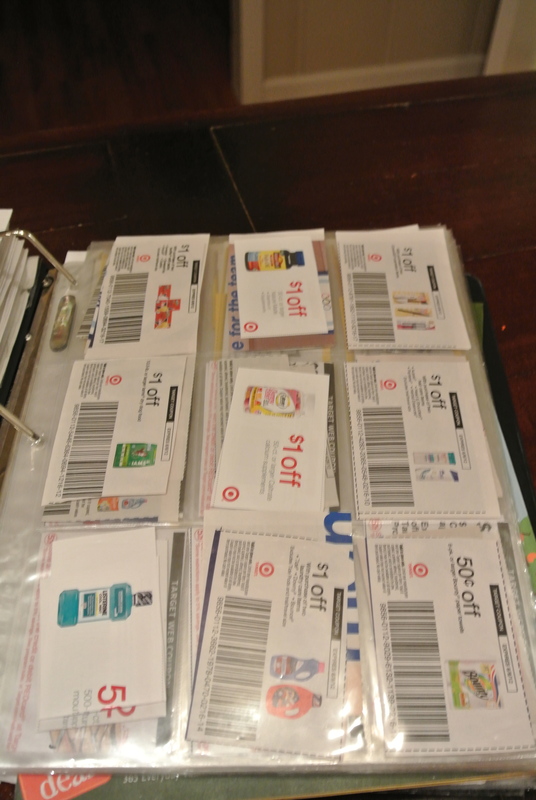 Every couponer will tell you a different way they organize, but this is what works for me. Then, buy dividers with a category page. You can come up with any categories you like. This will depend on the stores you frequent and the life phase you are in. 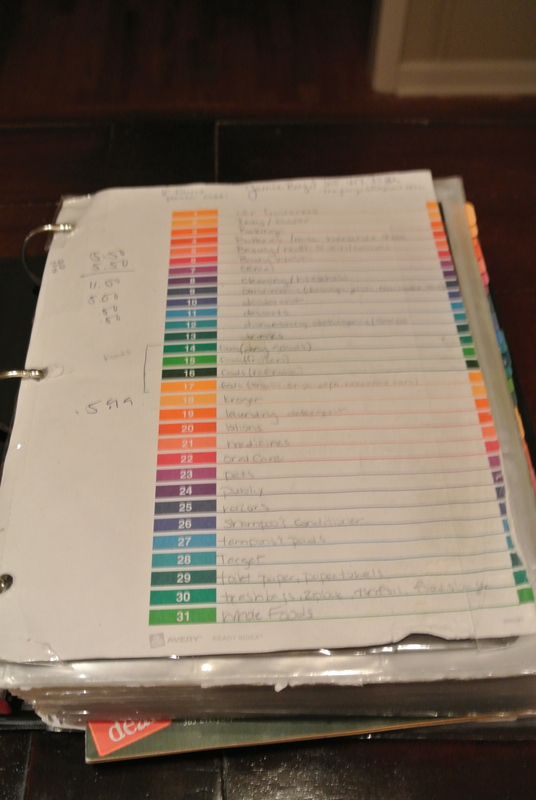 My categories are in alphabetical order which helps me remember where they’re located in the book, it makes filing easy, and it helps retrieving coupons quick and easy. The baseball card pages allow me to see each coupon and I can quickly decide which ones I want to use. Also this helps me see what has expired. If I have to fold a coupon in a way that I can’t see when it expires, I just take a pencil and jot down the date on front of the coupon. This may seem overwhelming at first but it is quick and easy. When I teach you all the millions of places to acquire coupons, you’ll be happy you did this!! Each week I file coupons as I clip them. On Sundays I clip from the newspaper, set the coupons in piles with coupons of the same category, and then file them away. When I print coupons, or receive them in the mail, I file them in the same way. As long as you don’t let them pile up, it won’t become overwhelming. At the end of each month I simply spend about 20-30 mins going through each section and I remove any expired coupons. Not only does this allow me to purge old coupons, but it also reminds me of the coupons I have that haven’t expired. You know where everything is at all times. 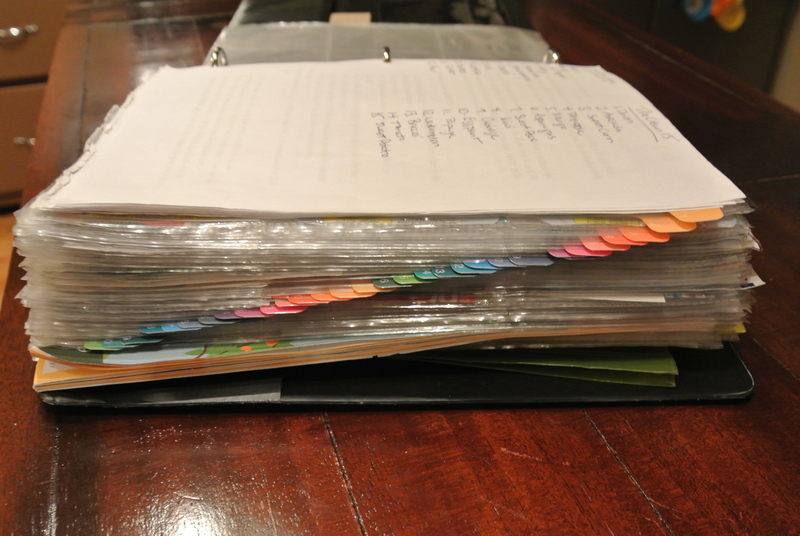 If you clear out your binder once a month you should have very few expired coupons in your possession at any given time. There’s no fumbling around with coupons and dropping them in the store aisles with this system. Before I go to the store, but after I have made my list and matched my coupons (lesson coming later) I take a reusable envelope and toss all the coupons I intend to use at the store, right in the envelope. 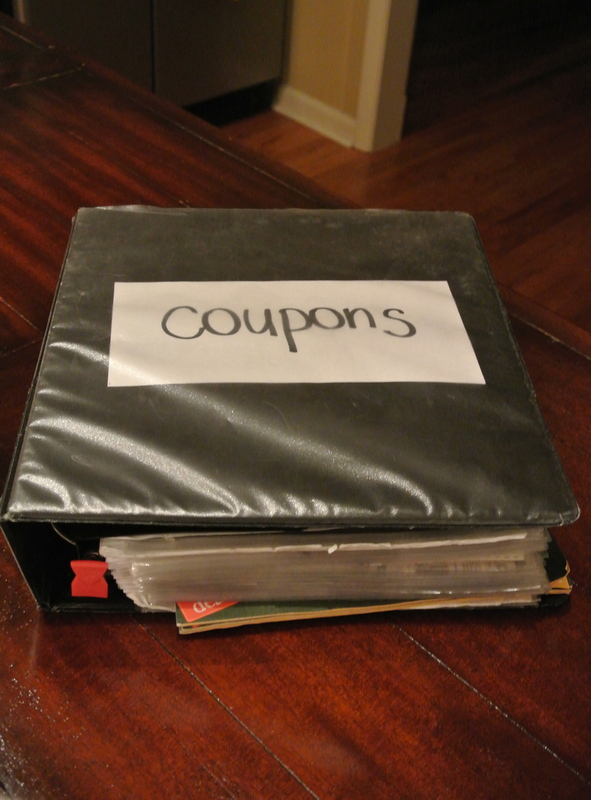 Because of my binder, it is so easy to pull exactly which coupons you’ll need before you even show up at the store. And if you make lists the way I do, (again in another lesson) you’ll know how much you’re going to spend at the store too! ← Sometimes the simplest changes can make the biggest difference!